Since the Children’s Online Privacy Protection Act (COPPA) only protects the privacy of minors under the age of 13, it is important for teenagers and parents to understand how the law pertains to children ages 13-18. 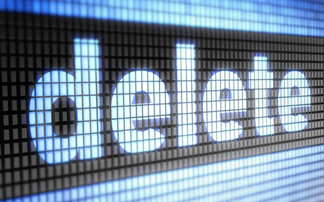 When the governor signed Senate President Pro Tem Steinberg’s Senate Bill 568, California became the first state to allow individuals under the age of 18 the ability to erase their own content from a website. Going into effect on January 1st, 2015, the law states that websites will have to clearly show how to perform this function. While there are many websites that already allow all users to erase old content, such as Facebook, Twitter and Instagram, this site will force all websites to allow this function for people under the age of 18. It renders the content or information posted by the minor user no longer visible to other users of the service and the public even if the content or information remains on the operator’s servers in some form. Despite making the original posting by the minor user invisible, it remains visible because a third party has copied the posting or reposted the content or information posted by the minor. In addition, SB 568 will outlaw the advertising of products otherwise illegal for minors to be in possession of on websites specifically directed to individuals under the age of 18. Some of the products that were specifically mentioned include alcoholic beverages, firearms, spray paint and tanning salons. The bill’s support came from Common Sense Media, Children NOW, Crime Victims United, the Child Abuse Prevention Center and the California Partnership to End Domestic Violence. An “HTTP Cookie” is a small piece of data sent from a website and stored in a user’s web browser while the user is browsing that website. Every time the user loads the website, the browser sends the cookie back to the server to notify the website of the user’s previous activity.